Twin size studio lounger works well in small spices and tight budgets. 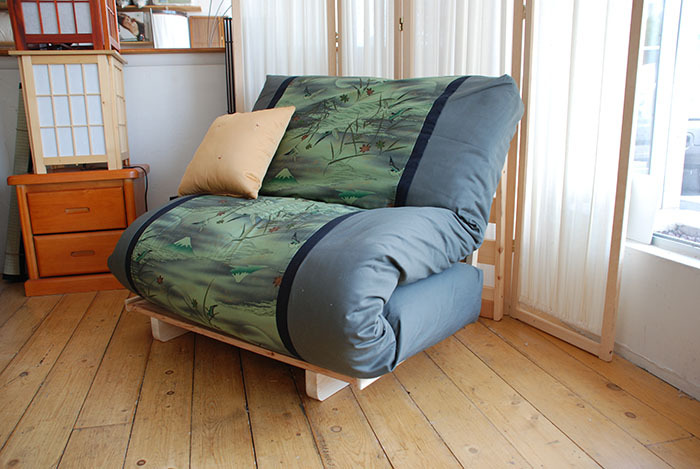 It sits as a small seating chair...lies flat as a bed and then reclines as a chaise lounge. Perfect for tight spaces...sleeping one person or looking for clean and basic.